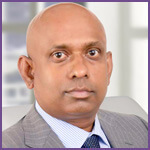 I would like to thank the members of the Sri Lanka Automobile Association in Japan for allowing me to serve as the President of this great organization from year 2017. As Sri Lanka Automobile Association in Japan (SLAAJ) is a self motivated, self standing, non-profit making, far from politics and Non Government Social Organization this will help to trade development, between Sri Lanka and Japan with the cooperation of our members, to operate result oriented programs to address in automobile industry, spare part and other businesses. 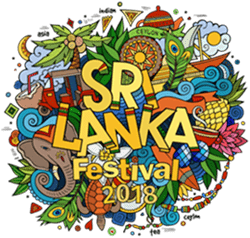 An our ultimate goal is to emphasis in developing trade link, through launching appropriate program to establish mutual relationship with vehicle dealers and other parties and cooperating to manage and coordinate issues with Sri Lankan government as well as local and international organizations. One of my goals for the SLAAJ will be to continue providing support to our active members while seeking new members interested in association goals and get them under one united group rather than remaining and operating in the divided manner. As the president of the SLAAJI would hope to participate through integration programs for addressing current issues prevailing in the field such as price hikes issues, manipulations of online biddings, hybrid car issues, reaching to new markets such as Africa, Russia, EU etc, as well as working closely with the JUMVEA and the VIASL. I hope to do my best to protect the best interest of the industry and membership while participating in other trade developing activities with related parties.